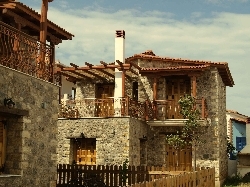 VILLAS AND APARTMENTS TO RENT IN PELOPONNESE, GREECE. 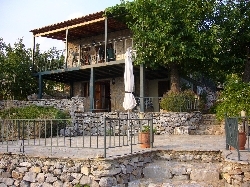 Welcome to our selection of holiday homes to rent in the Peloponnese, Greece. A visit to any part of Greece is not just a holiday. Besides a great time, it is also a walk back to marvel at the ingenuity of a civilization long gone. A visit to the 2500-year-old Epidaurus Theatre will have you chattering incessantly as you experience the clarity of sound here. A person standing at one end can hear another at the opposite end very clearly. In fact, you might even catch a play here as the theatre is still in use. From here, continue on the theatre trail with a visit to Mycenae, which finds a mention by Homer. The site even has a museum where objects previously hidden have been displayed. Even if you are not so much into sports, you must make a visit to Ancient Olympia, where the Olympics originally started. The Olympic torch is still lit from here. While here, you can also take in some interesting places too, like the Temple of Zeus, built by Philip of Macedon and Nero�s villa and bath. You can also put your feet in the original starting blocks and run the Stadii. Move on to see the town of ancient Corinth, which is set in a very scenic location. The temple of Apollo looks beautiful. Get to know the fascinating myths of the place, like the cleverest man in the world, the hero Vellerofont and his flying horse, the famous fountains of the city, its riches and finally the destruction of the city. 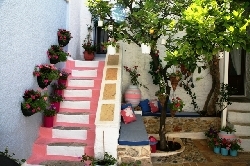 The place provides a history of Greece through the ages. After this, you can take a boat ride into the Caves of Dirou, which is quite an amazing experience. The caves are well lit and you can see the strange rock formations besides the stalactites and stalagmites that make this a very unique experience. After this, you can try the Kalavrita Railway ride that takes you up a gorge on a rack and pinion line for some beautiful scenery. Head to the Museum of the Olive that is a must see. All the exhibits here are quite impressive. Top it with a visit to the Church of Christ in Chains, considered the most majestic of all the Churches in the East. All this is in addition to the beach and all the fun you can have there. All in all, a trip to Peloponnese will provide you with a wonderful holiday as you relax and take in all that it has to offer! 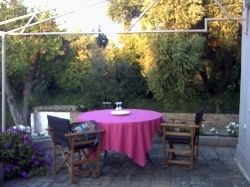 Looking for self catering holiday accommodation in the Peloponnese? Then below is a selection of apartments in the Peloponnese and villas in the Peloponnese that can be rented direct from their owners. You can either click on each listing for further details or you can use our search engine on the left if you are looking for something in particular.